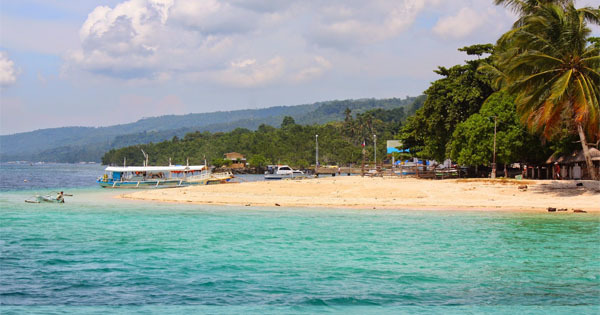 Samal Island, located right in the middle of the Davao Gulf, is blessed with a number of beautiful white sand beaches and crystal-clear blue waters. As the largest resort city in the Philippines, there are a lot of possible beach resorts to choose from. While Pearl Farm Beach Resort is one of the most luxurious resorts in the area, there are nearby resort options that also offer a beach haven at a very budget-friendly cost. #1 - Venus Resort Samal: Ideal for fun and relaxation, this resort is located in the Babak District - Samal Island area of Davao City. From here, guests can enjoy easy access to all that the lively city has to offer. With its convenient location, the hotel offers easy access to the city's must-see destinations. #2 - Punta del Sol Beach Resort: Unwind in this resort ideally designed to provide comfort and privacy while enjoying beach activities without piercing the budget. This resort has a wide array of accommodation choices: from cottages to dormitories, from fan rooms to air-conditioned cottages, from expensive to cheap, they have it! Free parking and breakfast are included in the package and they also have an al fresco restaurant that offers all sorts of meals. #3 - La Vida Orchard: Spend a worthwhile vacation without spending too much money in this bed & breakfast that offers affordable and comfortable accommodations. Breakfast is included in the package while as for lunch and dinner, guests can either cook their own food in the shared kitchen for free or order from their restaurant. Aside from the beach just a 2-minute walk away, there are other activities to do such as island hopping, visiting the bat sanctuary, and many more. #5 - Kostal Beach Resort: Get more value for your money in this resort that offers cheap but clean and comfortable overnight accommodation. There is a minimal corkage fee if you want to cook your own food but they also serve meals from their restaurant. They also have a mini swimming pool and at the beach front, there is a space provided with few tables and chairs perfect for some chit-chat and bonding.